While Target may already be selling Christmas décor, Frederick is starting to get into the Halloween spirit! 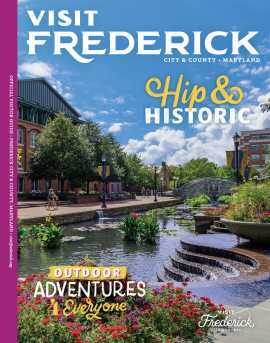 Often billed as the “most haunted city in Maryland” Frederick is full of eerie experiences and haunted happenings. Are you a believer? See for yourself at some of the city’s most historic spots! 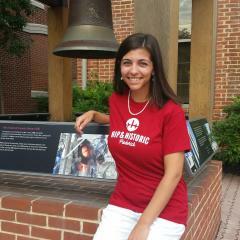 The National Museum of Civil War Medicine has a host of ghostly activity. Given the nature of the museum and its former life as an undertaking business, it is no surprise that strange sounds are often heard in parts of the building where no one is working. Employees of the museum have reported objects move by themselves or disappearing and then appearing again with no explanation. Just down the street, the home of one of Frederick’s most famous residents is also known to be mysterious. An elderly Barbara Fritchie waved her union flag out the window of her home as Confederate troops passed on the street below, inspiring the popular poem “The Ballad of Barbara Fritchie”. Witnesses report that the historic rocking chairs in the house often rock on their own. Lights can be seen flickering from the street outside long after the house has been closed and locked. Perhaps most haunting is the impression of a woman often found on Barbara’s bed first thing in the morning. Another building with a long and somewhat troubled history is Frederick’s City Hall. At this site in 1765, nearly seven years before the Boston Tea Party, Frederick citizens burned effigies of British officials in protest of the Stamp Act. 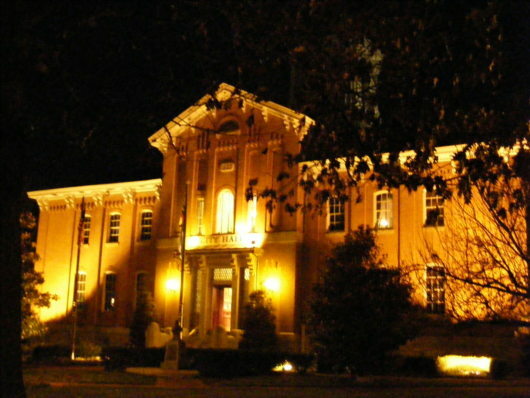 The present building was constructed as the Frederick County Courthouse in 1862, after the previous courthouse burned down in 1861. This building became Frederick&apos;s City Hall in 1985 when a new county courthouse was built nearby. A great way to visit all of these stops and many more of Frederick’s most eerie, is with a ghost tour through historic Downtown Frederick. Woven through historical accounts and true documented stories of the paranormal, master storytellers dressed in period attire from Frederick’s past lead visitors through the city’s dark streets and alleyways in search of the infamous, the unknown and the unexplained. Guests will uncover politically savvy and defiant citizens, patriots from the Revolutionary War, beckoning soldiers from the Civil War, and so much more.